Make your event or party one of a kind with our desserts which are described by the customers as interesting, authentic, ‘very Asian’, delicious, and unforgettable treats. From birthdays, engagements, weddings to year end parties, we ensure to make them memorable, and as sweet as a cup of Chè. 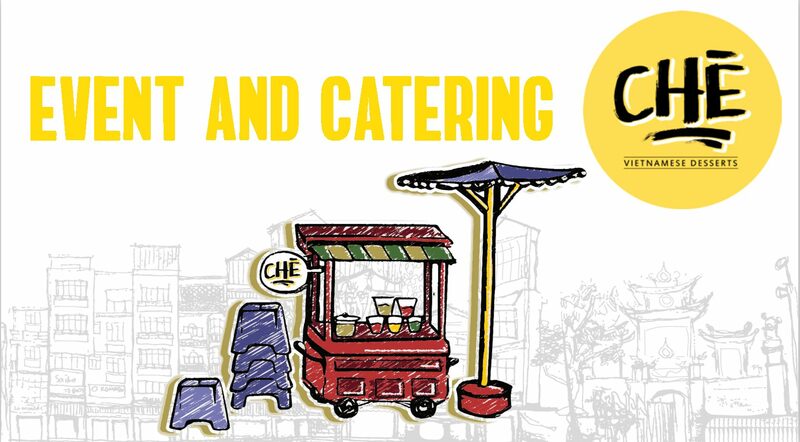 For Event and Catering questions, please contact us via Email che.desserts.aus@gmail.com or message us on Facebook. We normally respond within 1 hour. You can also leave your contact number and we will give you a call as soon as possible.